Four days ago we witnessed the end of the Jim Schwartz era. And over the course of a search that has spanned 2 years, the picture of Lions’ next head coach is finally starting to take shape. Martin Mayhew and Tom Lewand said they planned to move swiftly and they seem to be doing just that. 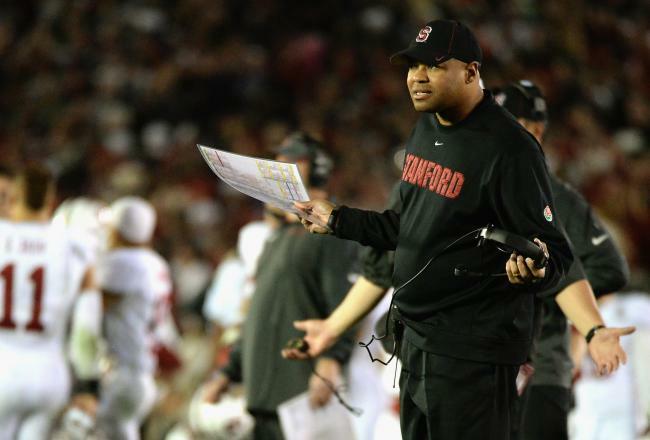 Some candidates, like Stanford’s David Shaw, have removed themselves (though I’m not sure how excited Lions fans would have been after watching his game plan against Sparty in the Rose Bowl). Other candidates, like Lovie Smith and Bill O’Brien have taken other jobs. 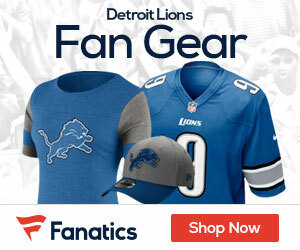 Though, in looking at both hires, while they both could do tremendously well in their new roles, I don’t know that either would have been right for the Lions. In O’Brien’s case, the pressure of jumping from college to pros is great enough on its own, but couple that with the required exorcism of 60 years of football demons and the task may have proven too tall. In Smith, you have a top of the line coach, a pro’s pro, and someone who could have certainly help with the desired “culture change”. But in watching Smith in Chicago over the years, one thing became overridingly apparent (and ended up getting him fired): not only could Smith not develop a QB or lend anything to the offensive conversation but he couldn’t pick an offensive coordinator to effectively do this for him. Seeing as the organization (and the league) has put a premium on offense, Smith didn’t fit the profile Lions management were looking for. So we continue to sift through the candidates and as we do so we apply Mayhew and Lewand’s prerequisite list and we find a couple of candidates who fit the bill. The first candidate is a current offensive coordinator who is well regarded in many NFL circles. He worked underneath a former Super Bowl winning coach that many Lions fans would love to see on the sidelines himself. This Lions coaching candidate won a Super Bowl as an offensive coordinator, has worked with two Super Bowl winning QBs and finally, as a head coach, this candidate led his own team to a Super Bowl which he ultimately lost. I am, of course, talking about Ravens Offensive Coordinator Jim Caldwell. Spare me the Rooney Rule jibber jabber. 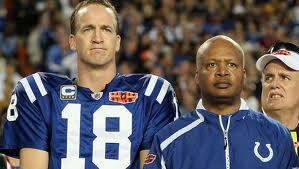 For 80% of the reasons people are excited about Ken Wisenhunt, they should be excited about Jim Caldwell. As a head coach, Caldwell was a Tracy Porter pick 6 and a Hank Basket face fumble away from winning a Super Bowl in 2009. Granted, his team eventually proved to be as fragile as the neck it relied upon while falling apart in 2011. But Manning had been masking glaring holes across that defense and offense for years and Curtis Painter was not up to the task. As for his current stint in Baltimore, we of NFL fandom have never claimed to have the longest memories, but hopefully we don’t forget that the Ravens offense was in shambles last year until Caldwell took over and led the offensive unit to a Super Bowl. Following said Super Bowl, the Ravens traded their best receiver, lost their best TE to an injury and failed to upgrade either tackle position. Oh yeah, and they lost their center who was one of the leaders of their offense. All of these issues proved to be too much for Caldwell to overcome and the offense finished in the bottom of the league this year. If the decision was between Caldwell and Wisenhunt, I would ultimately lean towards the Wiz. He is in fact, the Wiz and we all know “Knowbody beats him!” But the conversation around Caldwell cannot simply be dismissed as pandering to the Rooney Rule. I would imagine anyone willing to postulate that to Lewand and Mayhew would not be warmly received. Caldwell is a viable head coaching candidate and has proven to be a top-tier offensive coach with the ability to utilize every weapon available to him. 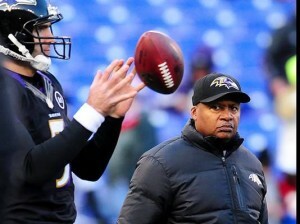 Caldwell’s Influence on the Raven’s Super Bowl Offense was undeniable. Ultimately, the most glaring hole in Caldwell’s resume is his inability to overcome the setbacks he faced in Indianapolis in 2011 and this season in Baltimore. As a franchise, the Lions wrote the book on organizational setbacks and their history of coaches who can’t stop the resulting skids is all too extensive. 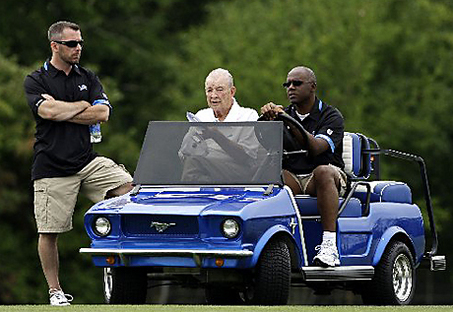 So at the end of the day, do I think Caldwell gets the job? Probably not. But is it a gross underestimation of his abilities as a coach to say he is undeserving of a true chance to win the job through the interview process? Absolutely.